Hello everyone! 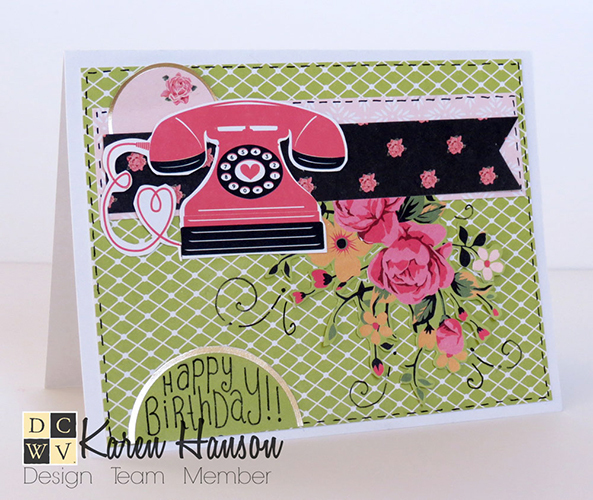 It’s Social Media design team member Karen and today I am getting ready for the new year! I don’t know about you, but every year I promise myself that I am going to stay ahead of the birthday cards that I send out in my family. I usually do well for a while, and then things sneak up on me and I end up pulling together cards at the last minute. So this year, I decided to take January to tackle a few birthday cards for the upcoming year. So, as I was looking through my paper, I found a collection that I, well, have been “collecting” if you know what I mean. I will admit it—there are some stacks that I find harder to cut into than others. “Hello Darlin’” (available at JoAnn) is one of those stacks. 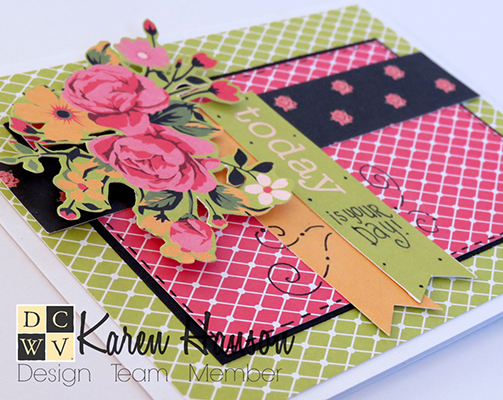 It has everything I love in a stack—beautiful, bright colours, fun patterns and oh so many great images to fussy cut. It makes layering a dream! For both cards, I actually used a similar sketch, just changing up the images I was using and varying the placement slightly. 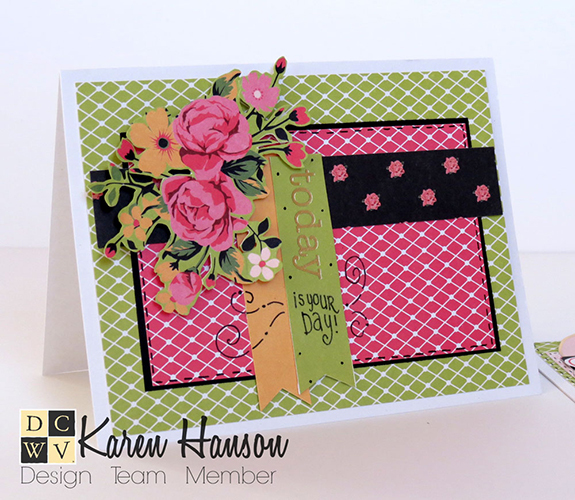 I used the black patterned paper to create some contrast between the bright colours, and did a bit of hand doodling at the end to add some sentiments and to pull a little more black into the cards. I think they are a fun and bright way to say “Happy Birthday”. So there you have it. Two down and quite a few more to go! But it’s a start, right?! Thanks for stopping by!